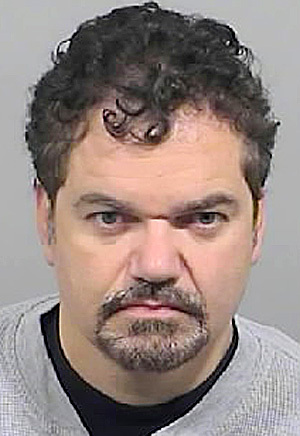 John Perry faces up to 20 years in federal prison on nine drug charges. PORTLAND — A former Portland podiatrist has pleaded guilty in federal court to nine charges of conspiracy to distribute drugs, illegal distribution of oxycodone and health care fraud. Under his plea agreement, John B. Perry, 50, could face a maximum prison sentence of 20 years. His attorney said the term will probably be significantly less. The Associated Press reported that Perry’s plea was part of a deal in which prosecutors agreed to seek a 10-year prison term. U.S. District Judge George Z. Singal is not obligated to follow the government’s recommendation. Court documents indicate that Perry is scheduled to be sentenced in March. He is now being held in a county jail. Federal prosecutors said in a court filing Friday that if the case had gone to trial, they would have presented evidence that Perry prescribed oxycodone and other drugs without any medical purpose in the names of patients he never treated. Prosecutors said Perry prescribed oxycodone pills to a group of drug traffickers based in Connecticut. Some of the prescriptions were written in the names of the primary drug traffickers, and others were written in the names of Maine-based conspirators whom he recruited to fill prescriptions. The oxycodone prescriptions were issued outside Perry’s medical practice and for no legitimate medical purpose, according to court documents. To conceal his illegal prescription writing, Perry fabricated patient charts for many of the people. Members of the conspiracy filled the prescriptions at pharmacies throughout southern Maine and distributed the pills with Perry’s knowledge. The government said it also would have presented evidence that Perry developed a scheme to defraud pharmacies and the state’s health insurance program. According to court records, Perry issued prescriptions for oxycodone in 2009 and 2010 that were filled at Rite Aid, CVS, Hannaford, Shaw’s and Community Pharmacy stores. Some of those prescriptions were paid for with MaineCare and Medicare funds. Prosecutors say Perry’s fraudulent prescriptions caused MaineCare and Medicare funds to be spent for controlled substances that Perry knew were not medically necessary. Perry, whose most recent address was in Bridgton, closed his business, Atlantic Foot & Ankle Center in Portland, more than a year ago, Sharon said. Perry was living in Cumberland when his home and office were raided by federal drug agents in November 2010. In March 2011, Perry pleaded guilty to operating under the influence and was sentenced to two days in jail. About a month later, Perry’s doctor’s license was suspended by the Board of Podiatric Medicine.